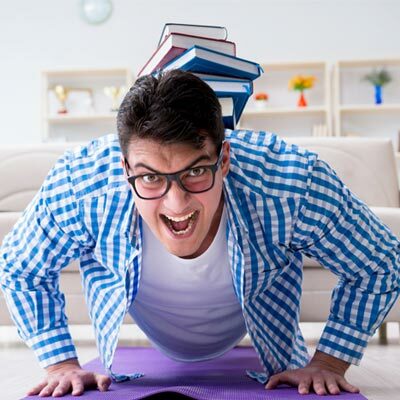 Working out at home may well be the only option for many of us. Gyms can be too far out of the way, too expensive, or even just too time consuming for the everyday person. This can often leave us at a bit of a loss, trying to work out at home but just not quite knowing what to do or not reaching the goals you want to reach. Working out at home doesn’t have to be as basic as you may think though. There are different ways that you can help your workouts to thrive, even with small and simplistic additions like using household objects just to increase the resistance you’re working with from time to time, or even just to switch things up a little. There are various objects around the house that can be used to help you to enhance your workouts and keep as active as you can, so here are 5 of the most easily accessed items you can use and what to do with them. Seriously, stick with us here, it is going somewhere we promise. Some of the most commonly placed items in your house can be put to better use, and the chair is absolutely no exception! Chairs can be used, surprisingly, for an array of different exercise variations, working a vast range of different muscle groups that range from upper to lower body too. Before you try these though, make sure the chair is stable and not going to tip by placing it with its back to a wall. Better safe than sorry. Chairs can be used to really change the game when it comes to push-ups, and they can change which muscle groups are being worked as well as the difficulty of the exercise in general. Incline pushes are the easier variation of the push-up, placing your hands on the chair with your feet still on the floor, and this works the lower chest and the back muscles more than a usual push up. The decline push up is the opposite of this, however, placing your feet on the chair and hands on the floor, making the push up much harder due to needing to lift a greater overall percentage of your bodyweight, and really working your upper chest and your shoulders more than a standard push up would. A combination of all three would make a good chest workout in itself if done enough, so bear this in mind! One or two chairs can be used for dips. With one chair, your feet are on the floor and your hands on the chair, and with two your feet are on one and hands on another, parallel from each other. Two chairs are the better variation and allow you to get a better contraction as well as a safer technique to protect your shoulders but be careful not to go too low. Again, with two chairs, the bodyweight row is an extremely effective bodyweight exercise for the upper and middle back muscles. It does require another item, such as a sturdy broom handle that sits across the chairs with you underneath it, pulling your body from the floor toward the bar and contracting your back muscles and biceps in some cases. Different hand positions can be used for this to get different contractions and different results, so see what works best for you. It helped Luke Skywalker train, and it could well help you too. Most of us will have a backpack lying around the house somewhere from some point in life or another. They can really help add that extra weight to your exercises if you make the most of them and can seriously affect your workout. The beauty of using this during a workout also revolves around using a weight of your choice, as you can choose what to put in it and how much of it, tailoring it to your needs. Just be careful not to break it, and make sure you’re not filling it with comfort foods for when you’re done… Not that we did. It goes without saying that the backpack can change a huge number of exercises when compared to the rest of the items on this list, and squats are no exception to this. Adding weight to your bodyweight squat will make a huge difference to your results if your technique is good, although it may add slightly more risk to your body if the technique is bad, so make sure you have perfect form before using it. Lunges are often performed in the gym with a weighted bag, so that backpack is an ideal substitute. The better aspect of a backpack rather than a weighted bag is that you don’t need to constantly hold it because of the ability to wear it. Giving you more control and allowing you to focus on what you are doing in terms of form rather than weight. If you have heavy books, this is a great one for you. Because of their structure, books are generally pretty efficient in terms of weight compared to their size and are not particularly awkward to hold. This means that you can really use them effectively when doing an array of bodyweight sizes that don’t involve the arms too much, especially core exercises where dumbbells or weight plates would usually be in place. Russian twists are a perfect example of this, where usually a weight is held whilst you lay on the floor in a crunch like position and twist the torso from side to side in order to work the oblique muscles and really help reach the entire abdominal group. Crunches go without saying. Adding a heavy book to this will just make the abs work even harder to lift that extra weight. There’s not much else to be said about this, aside from making sure the book isn’t too heavy so that you don’t hurt yourself or lose proper form. Don’t let any momentum build either, otherwise, you may be wasting a lot of your time and energy. This might not be possible for everyone, but if you have to right environment, it’s a great workout. Sitting on a chair is the best way to do this, with legs stretched out and your feet still touching the floor. Place the heavy book flat on your legs and lift until you are at a 90-degree angle. This helps complete the abdominal workout and really focuses on the lower abs, giving you the best range of contractions, all with the use of a book. Bottles are diverse because of their wide range of sizes, and how common they are around the house from drinks through to cleaning products like washing detergent, so you can use the right weight for the exercise that you want to do. Just make sure the cap is screwed on! Bicep curls are possibly the most stereotypical weight exercise in existence, and for good reason. The bicep curl is very easy to perform with good form, and bodyweight is not much of an option for working this muscle, so bottles could be the hero of this story. Just fill the bottle to your desired weight and lift your arm from by your side to a fully contracted position. Performing this exercise slowly will prevent a build-up of momentum which is often the cause of issues with the exercise and prevents progress, so take it steady. This one is a little harder to perform unless the bottle has a handle, but it’s really useful in helping the triceps. The easiest way to perform with a bottle would be to be standing and perform over the head tricep extensions, ideally one arm at a time but two if the bottle is too big. Shoulders are difficult to train without weights, but it is easy to do if you have the right equipment… or liquid container in this case. As with all of these exercises, the weight of the bottle is up to you, but not enough liquid in the bottle may make it unstable as the liquid moves in the empty space so choose your size wisely. This revolves around lifting the bottles directly upwards above the head and bringing back down to a right angle. Just beware of going too low as with most shoulder exercises. Yes, that’s right! We’re seriously recommending you can put your bag of flour to use before it ever hits the baking tray, you can earn your muffins before you bake them. 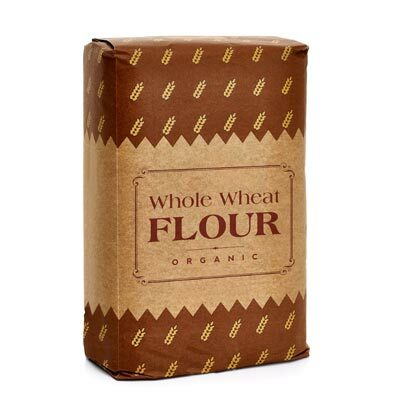 Bags of flour are one of the easiest items on the list to keep track of weight due to their packaging. They are typically in KGs and heavier than many other objects of their size, but they are also prone to splitting on occasion. To help fight this, it is wise to put the bag of flour into another bag to add extra protection, and also give a kind of handle to the bag, helping it act as a kettlebell type piece of equipment. The go-to exercise of a weight in this type of format would be the classing kettlebell swing. Simply hold the bag with extended arms and using the power of your posterior chain and recruiting a few leg muscles, swing the forwards until the arms are straight in front of you and repeat, being careful not to build too much momentum. The bent row is another back orientated exercise that can be done using only the flour. Simply bend over forwards with the bag hanging in front of you and pull it into your chest contracting your lats and mid back, and repeat. It is that easy. Like everything using this kind of weight, ensure you don’t get carried away with the momentum and be cautious of form, as the back is not something you want to damage long term. The upright row uses similar motions but from a different position. This time, you stand straight and hold the bag down in front of you, before raising it to chest height and back down again. This is a commonly mistaken exercise however as many people tend to lift too high and almost reach their chin. The key to safety here is to not let any part of your arms go past your shoulders to prevent rotator cuff damage. Once you get creative, there are even more possibilities to adapt these items, or even to utilise new items that you think of. Just make sure to stay safe and try not to make a mess if things go wrong! They are all useful ways to stay in shape and live a healthy lifestyle for a very low cost though, so see how they work for you.